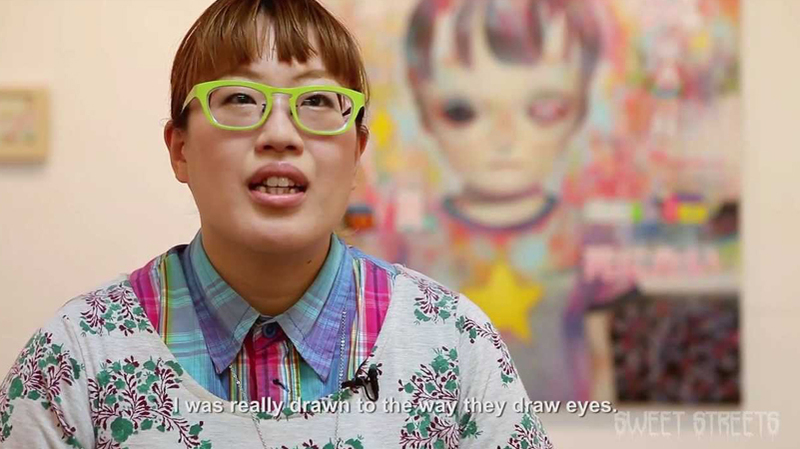 Based in Nagano, Japan, Hikari Shimoda first studied illustration at the prestigious Kyoto Saga University of Art and Aoyama JukuSchool before she began her career as a contemporary artist in 2008. 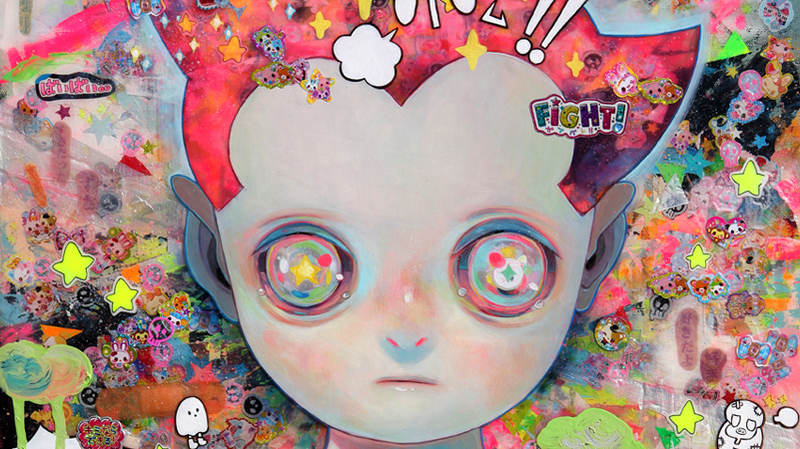 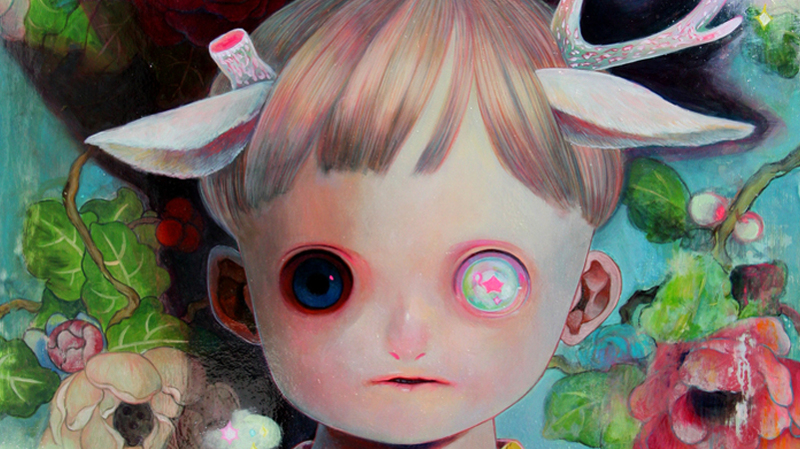 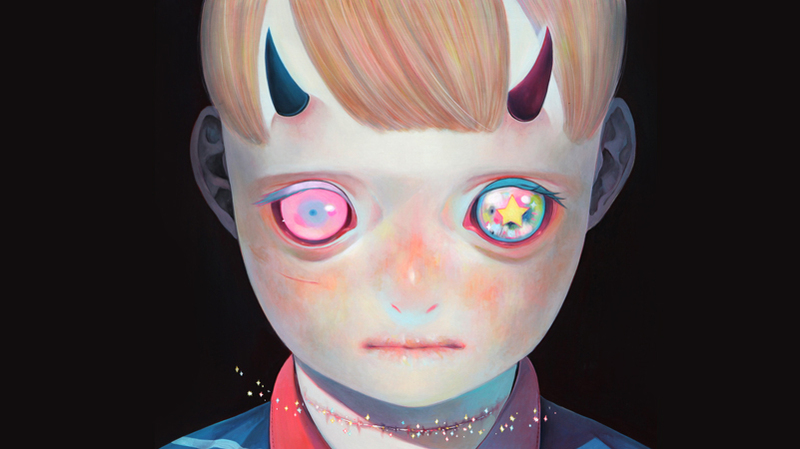 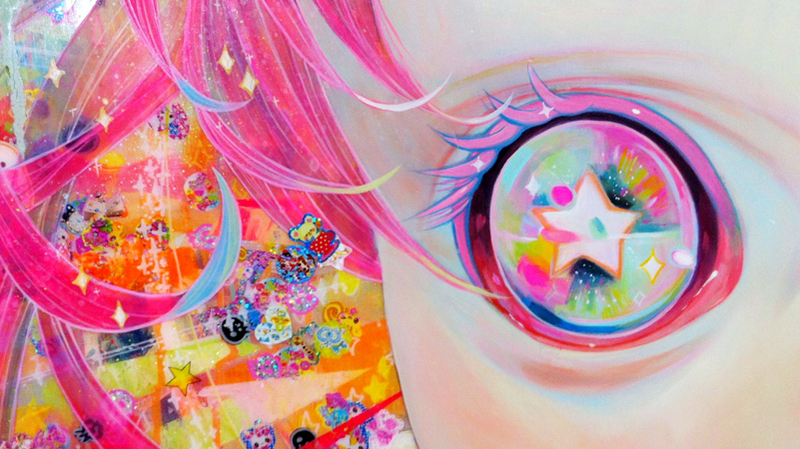 Shimoda’s artwork paints a world where cuteness and horror coexist, and fantasy meets reality. 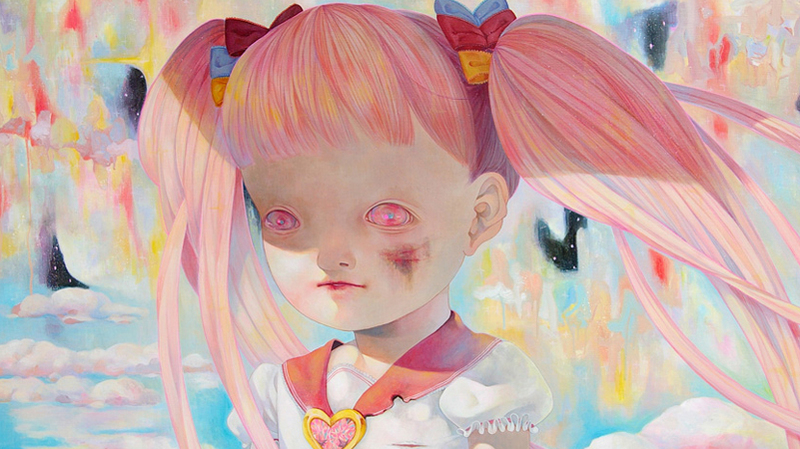 She credits the Japanese pop culture she grew up with as the main source of inspiration of her ‘Irasuto’ style, art inspired by anime and manga. 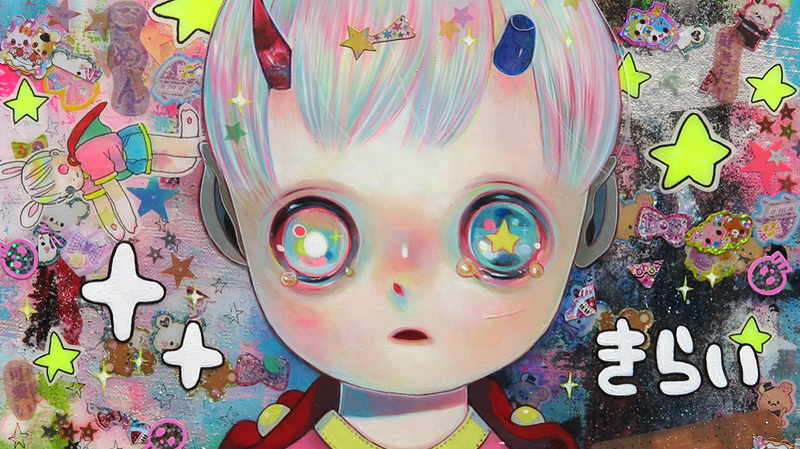 Through depicting children especially, Shimoda reveals the problems people in today’s society struggle with from within. 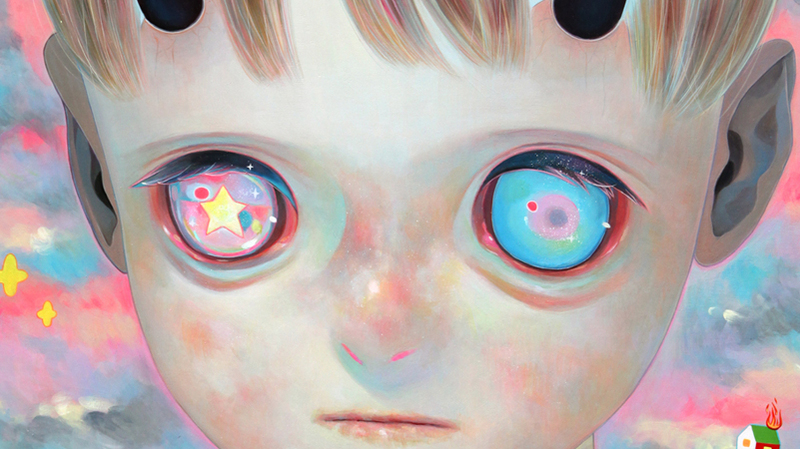 In her “Whereabouts of God” portrait series of other-worldly horned children, she also comments on Christianity’s anointment of Jesus Christ as saviour of humanity and mirror of our fantasy heroes. 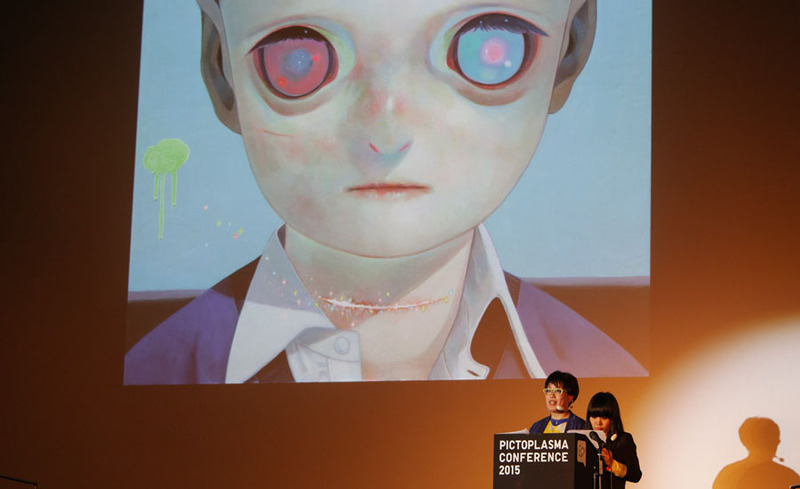 These characters not only represent heroism but an adult desire to watch our children grow and defend the world we have constructed. 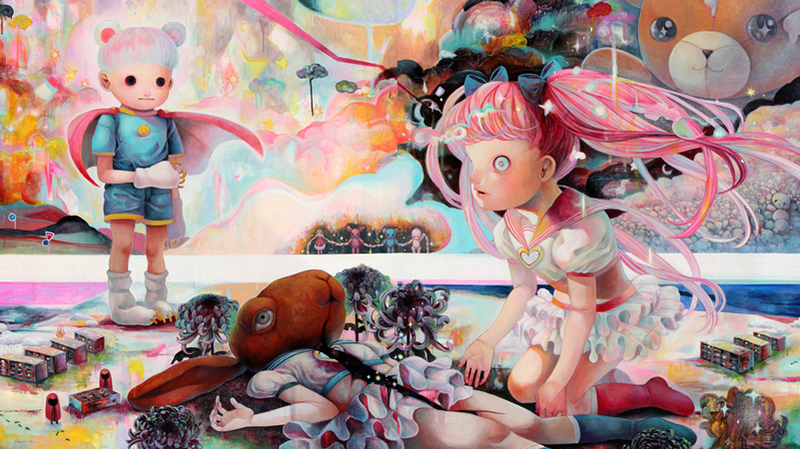 With each new piece, Shimoda advances her search for salvation and her deeper understanding of this chaotic world.